Industry advisor and enterpreneurial giant Mr Ken Morse will introduce Pangeanic’s translation developments and translation platform at an event sponsored by the MIT Enterpreurship Forum Japan, Tokyo. 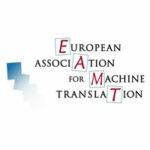 A translation company at heart, Pangeanic has developed PangeaMT as a machine translation tool that eases multilingual technical publication particularly to producers of large volumes like the automotive industry, electronics industry or pharma. 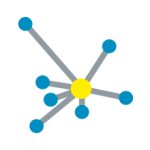 Pangeanic is unique in its offering of combined self-learning machine translation engines which can adapt to several verticals, trained post-editing services and publication quality standards. Mr Morse will present challenges of both Incremental and Radical/Disruptive Innovation, and the opportunities and threats provided by game changing technological breakthroughs. He will provide a few examples of MIT spinoffs (Cambrian and Terrafugia) and a few others which are fundamentally changing the game, resulting in significant winners and losers. MIT has one of the greatest company formation rates by alumni in the world. Revenue from companies created by MIT students would create the 11th richest country in the world. In a recent interview in Valencia at an enterpreneurial event, Mr Morse stated “One example of a game changing technology which can be strategic for some Japanese firms seeking to sell in Europe – such as auto makers, medical devices, and consumer electronics, to name a few – is machine translation. 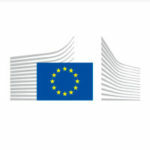 Modern computing power, on land and in the cloud, and latest software technology, has enabled machine translation to achieve the levels of accuracy required by European and US regulators. Pangeanic is a leader in that field and service”. Ken currently serves as an Innovation advisor to major firms in Japan and Europe, assisting them to move quickly to embrace new, disruptive technologies and will be joined by Manuel Herranz, Pangeanic’s CEO, who will explain how Pangeanic is improving translation services with faster time to market and online publishing (from eCommerce and online to human-quality publications) thanks to its hybrid machine translation developments. Ken was a co-founder of six high-tech companies, together with MIT friends and classmates. Five of these ventures had successful IPOs or mergers; one was a disaster. They included 3Com Corporation, Aspen Technology, Inc., a China Trade Company, a biotech venture, and an expert systems company. Ken was either the CEO or responsible for part or all of the Sales organization in each of these new enterprises. During his 4+ years as Managing Director of AspenTech (AZPN) Europe SA/NV, Ken’s team achieved 18 consecutive quarters of on-target sales performance by building close strategic relationships with the leading chemical and pharmaceutical companies throughout Europe and the Middle East. He grew the AspenTech EMEA organization from 22 to 200+ employees with basically zero staff turnover, and expanded sales revenue 600% – 900% with key client relationships. In 1975 Ken formed a trading advisory company under the aegis of Chase Manhattan Bank to assist U.S. technology-based companies such as IBM, General Motors, Gillette, Hughes Aircraft, Mine Safety Appliances, Waters Associates, and others to enter the China market. Ken was based in Beijing for five years during the latter half of the Cultural Revolution. Since returning to the US in 1980 when he joined in founding 3Com Corporation, he has focused on building global technology-based businesses. Ken serves on the National Advisory Council on Innovation and Entrepreneurship (NACIE) of President Obama (Washington) which conceived and launched “Startup America” and the “JOBS Act”, which received strong bi-partisan support. Ken advises major corporations on their innovation strategies and is a member of Telefónica Disruptive Council (Madrid) and the Council on Foreign Relations (New York City). 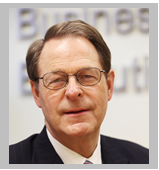 Since 2009 Ken is Visiting Professor at the ESADE Business School in Barcelona. From 2006 – 2011 Ken held the Chair in Entrepreneurship, Innovation and Competitiveness at the Delft University of Technology (TU Delft) in The Netherlands. Ken’s interest in international high tech ventures began at MIT, where he graduated with a BS in Political Science in 1968 followed in 1972 by an MBA from Harvard Business School. Upon graduation, he joined Schroders, the UK-based merchant bank, where he worked directly for Jim Wolfensohn, former President of the World Bank. In the thirteen years (1996 – 2009) that Ken served as Founding Managing Director of the MIT Entrepreneurship Center, the number of students taking Entrepreneurship Courses increased from 220 to 1,600 per year while the number of professors grew from 3 to over 36. He launched the Corporate Venturing Consortium (CVC), and also conceived and led the weeklong MIT Entrepreneurship Development Program (EDP), which over the past thirteen years trained more than 1,500 global entrepreneurs in an intensive on campus executive education program. Ken was named “Education All Star” by “Mass High Tech” magazine, and was a member of the MIT Enterprise Forum Global Board (2009 – 2011). Ken is Chairman & CEO of Entrepreneurship Ventures Inc. which convenes an experienced team of practitioners and serial entrepreneurs to deliver Entrepreneurial Skills Development workshops and programs in Colombia, Canada, Europe (Norway, Romania, Scotland, Spain, The Netherlands) in Turkey, the Middle East (Lebanon, Jordan, Saudi Arabia, Syria, UAE), in Pakistan and New Zealand. In the US, Ken serves on the Board of Advisors of MassChallenge and Concentric Power Inc.,. and advises several MIT spin-offs including Cambrian Innovation Inc., Connectloud Inc., Cogito Corporation, FloDesign Inc., HubSpot Internet Marketing, and Terrafugia. Elsewhere, Ken serves on the Board of Advisors of several ambitious global startups, including Denkwerk GmbH in Germany; Zylinc Ltd in Denmark; Izon Science Ltd in New Zealand; Naseeb Networks Inc. and Sofizar Ltd in Pakistan, NewTrax Technologies Inc. in Québec, Invenio learn.by.doing in Spain, and DataSpell in Turkey.